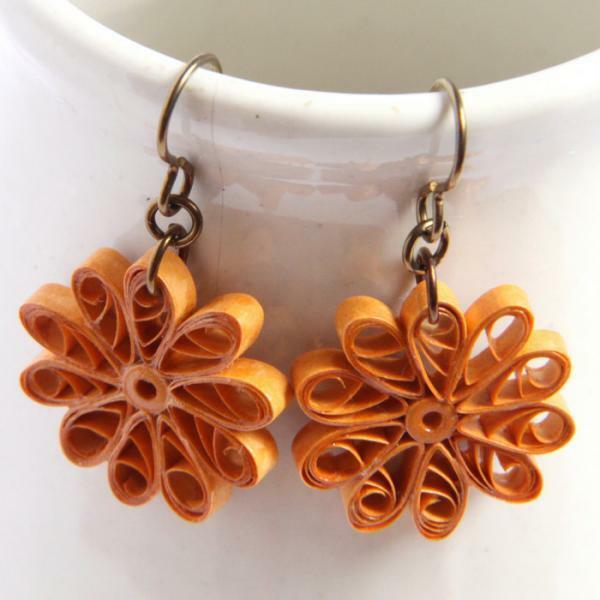 These small modish flower dangle earrings are eco-friendly and handcrafted by the art of paper quilling. They are fun, swinging, and will definitely be noticed! 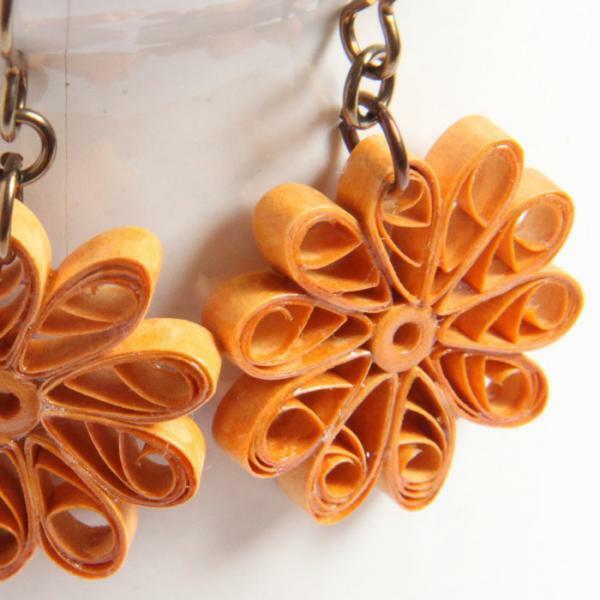 The open and airy design is perfect for spring and summer fashion. 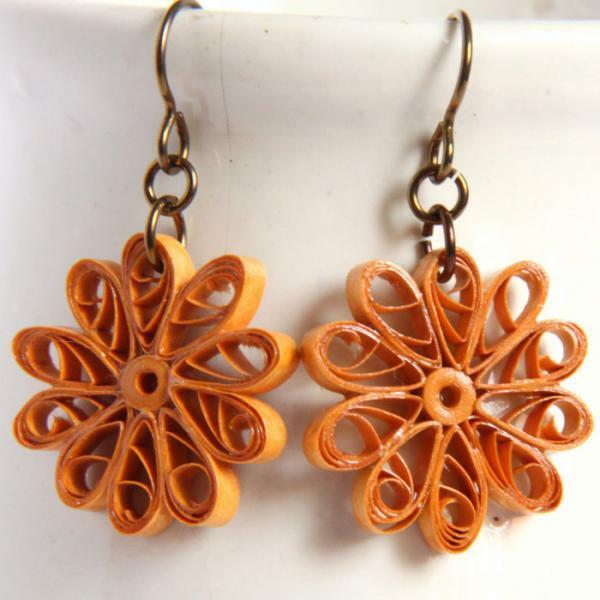 These earrings are made with a beautiful honey gold colored paper and hand varnished with non-toxic water-based sealants for a sturdy, water resistant finish. 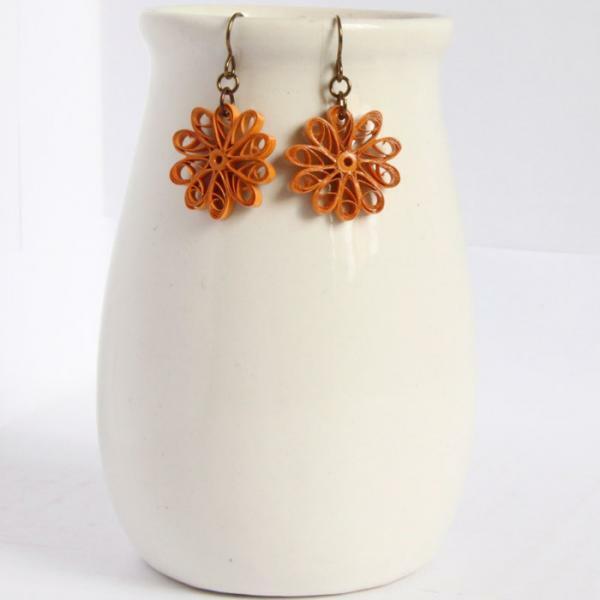 These special earrings are finished with niobium findings. Why niobium? It is non tarnish and as hypoallergenic as pure gold! They are the only hooks I use for my own sensitive ears now, I love them! 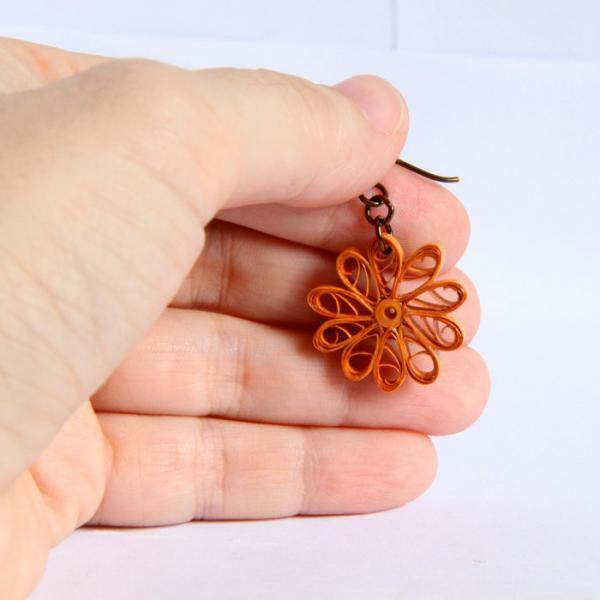 Each flower measures 7/8" (2.3cm) in diameter.